Barco teamed up with Almo Professional A/V to share its brand new UDX 4K large venue projector, the flagship ClickShare collaboration system and other revolutionary meeting room solutions at the “What Will Your Lightbulb Moment Be” E4 AV Tour now appearing across the nation. The E4 tour provides fresh, valuable products, technical and business training information to thousands of resellers and installers in the AV industry. The popular format features a full day of educational sessions while providing an ideal forum for professional networking, industry-leading educational, and an expansive product expo presenting the newest high energy AV products and services. 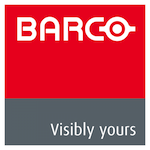 As a perennial sponsor of the event, Barco contributes a wide array of meeting room solutions, including its latest 4K presentation solutions. Barco will supply its HDX-4K20 large venue projectors for a dual-screen 4K keynote session by AV industry visionary and rAVe Pubs founder Gary Kayye. Entitled “4K: No Myths, No Exaggerations – Just the Facts.” This popular talk explores real versus pseudo 4K, explaining how the industry can benefit from implementing 4K projection in the meeting room. "Barco's involvement in the E4 AV Tour is highly instrumental to the event's success," said Melody Craigmyle, vice president of marketing for Almo Professional A/V. "Having experienced the large engagement during the post keynote, behind-the-scenes tour of its 4K solutions in Chicago, as well as Barco’s sponsorship of the E4 Experience Collaboration Workshop, we are looking forward to another great success in San Jose and beyond." Barco will debut its UDX 4K laser phosphor projector for large venues and events near the keynote session room for visitors to experience first-hand. The UDX platform enables rental companies and AV integrators to provide stunning experiences while saving both time and money. The UDX range combines high performance in a compact and rugged design. Five models deliver reliable, razor-sharp and high-brightness images to every type of event or venue. Watch a video of the new projector here. Helping bring 4K to today’s boardrooms and conference rooms, our CSE-800 features 4K DCI, offering the ultimate image quality and flexibility. With a wireless connection to the central screen, up to eight users can share their content from a laptop, tablet or smartphone on-screen simultaneously. Moderation, blackboarding and annotation features enhance collaboration while improved security measures ensure data is protected. As the top-of-the-line model, it’s the ideal option for driving two projectors, two screens, or a Double HD canvas. In the projection realm, the F90-4K13 projector delivers stunning 4K UHD resolution using a laser phosphor light source to power exceptional experiences while saving both time and money. Featuring multiple lens options and orientations, it’s perfect for the most high-profile meeting and presentation environments.